HTC One X is yet another power pack and fully loaded featured Smartphone from HTC which covers the widest area of its features with latest technologies and innovations. The mobile operating system of HTC One X Smartphone contains Android's latest technology which is Android OS, v4.0 (Ice Cream Sandwich) and with most powerful mobile processor of 1.5GHz Quad-Core processor. The HTC One X Smartphone has 8 Mega Pixel Camera with 3264x2448 pixels, autofocus, LED flash and Simultaneous HD video and image recording, geo-tagging, face and smile detection and Video Camera of 1080p@30fps, stereo sound rec., video stabilization and Secondary Video Camera of 1.3 MP with 720p. So what more you can expect from HTC One X. 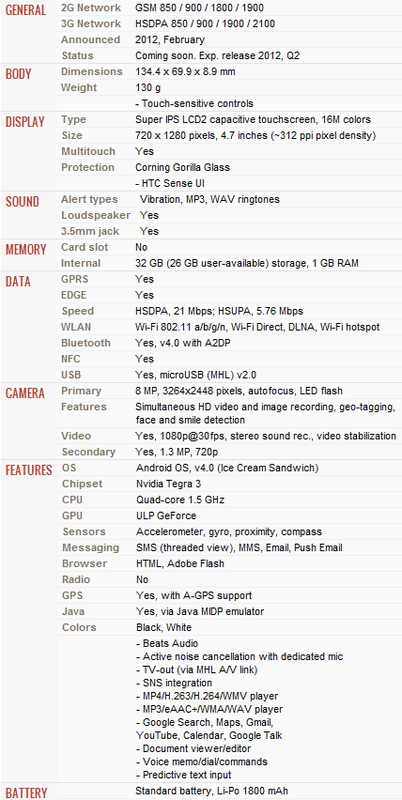 For full HTC One X Smartphone Specifications kindly look into following image which contains HTC One X fully loaded feature details. Following are the full specifications details of HTC One X Smartphone. Following is the video review of HTC One X Smartphone. 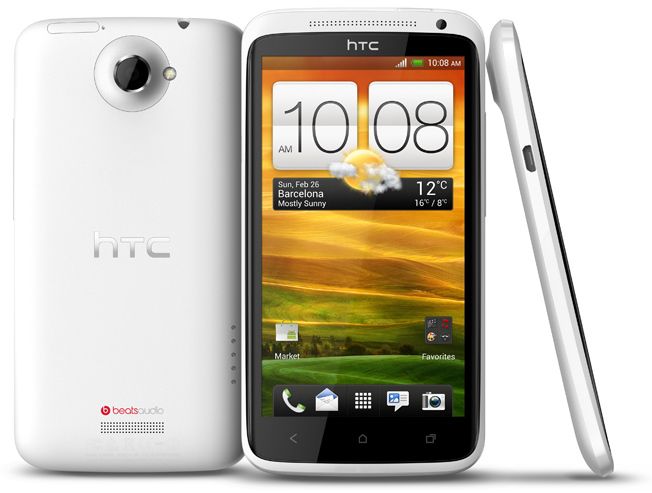 The HTC One X Smartphone will be available from April, 5th, 2012 in UK, USA and other part of the countries. The price of The HTC One X Smartphone will be as follows. HTC One X Smartphone Price in US will be $781 USD. HTC One X Smartphone Price in UK will be £470 GBP. The HTC One X Smartphone will be available for free on a £36/month two-year contract or for £119.99 on the cheapest available, £26/month deal. An HTC MediaLink HD USB to HDMI adapter will be gifted to everyone, who pre-orders the Smartphone.